It is the *first part* of this article may be of interest to ill Gulf War veterans and their medical care providers. The end of this article, however, is sadly focused on the"stress" theory of causation for Gulf War veterans' illnesses. The presence of the long ago discredited "Stress" theory in this otherwise important article is indicative that the old forces in DoD, VA, MoD, and beyond that we Gulf War veterans have been fighting since the get go remain alive and well. It should go without saying that stress can play a supplementary or synergistic role in Gulf War Illness, as well as in any other known physical, psychological, or psychosocial condition ranging from cancer to workplace violence to heliobacter pylori stomach ulcers. Everything is made worse by stress; few conditions have stress as the primary cause. For stress to even be mentioned as possibly the primary cause of Gulf War veterans' physiological illnesses (in the case of the majority of ill Gulf War veterans' who are not also concurrently suffering from PTSD) is an insult. Its inclusion in this article suggests its proponents have either been living under a rock for the last two decades or are blissfully or willfully ignorant of the large and growing body of medical evidence of the intricate details of the physiological nature of the chronic multisymptom illness plaguing as many as one in three U.S. veterans of the 1991 Gulf War, as well as other U.S. and other military forces. It would be an outrage if MedPage Today's editors were to publish an article that, without reliance on any disease-relevant medical research, explicitly stated that multiple sclerosis, Alzheimer's Disease, Parkinson's, or any other neurological disease could have "stress" as a primary cause. It is no less an outrage in this instance, and serves only to suggest that MedPage Today may not be a fully credible source of scientific news. Dysfunction of the autonomic nervous system may underlie the symptoms experienced by veterans with Gulf War syndrome and its variant subtypes. Note that scores on several measures of autonomic function were significantly higher among cases, including secretomotor symptoms, sleep abnormalities, urinary symptoms, and upper gastrointestinal motility problems, consistent with dysfunction of both central and peripheral cholinergic function. Dysfunction of the autonomic nervous system may underlie the myriad symptoms experienced by veterans with Gulf War syndrome and its variant subtypes, a case-control study suggested. On the self-administered Autonomic Symptom Profile (ASP) questionnaire, the mean score for orthostatic intolerance among controls was 2.4 out of a maximum of 40, compared with a score of 22.2 among cases with the syndrome subtype in which confusion and ataxia predominate, according to Robert Haley, MD, of the University of Texas Southwestern Medical Center in Dallas, and colleagues. 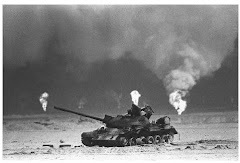 For the Gulf War syndrome variant in which impaired cognition is the dominant symptom, the mean ASP score for orthostatic tolerance was 12.9, and for the variant characterized mainly by central neuropathic pain the mean score was 13.7 (P<0.001 for all), the researchers reported online in Archives of Neurology. Moreover, the Composite Autonomic Severity Scores, which combine objective measures of autonomic deficits on a scale of zero to 10, also were higher overall in cases than in controls, again most notably with the confusion/ataxia variant (1.90 versus 0.71, P=0.045). During the 2 decades since 700,000 members of the U.S. military were deployed to the Persian Gulf after Iraq's invasion of Kuwait, an estimated one-fourth have reported multiple chronic symptoms including pain, fatigue, diarrhea, sexual dysfunction, and cognitive abnormalities. Hypotheses as to the cause of the illness have included neurotoxic exposures and stress, but few objective correlations such as laboratory or pathologic tests or biomarkers have been identified. This has, in some quarters, "reinforced the notion that this constellation of symptoms is trivial and unworthy of attention," wrote Roy Freeman, MBChB, of Harvard Medical School in Boston, in an accompanying editorial. Haley and colleagues previously found evidence implicating central cholinergic parasympathetic dysfunction in a small group of veterans afflicted with the syndrome. To further explore this possible underlying explanation for multiple seemingly unrelated symptoms, the researchers enrolled 66 cases and 31 controls, who were also military veterans but who had not been deployed in the Gulf War. Scores on several domains of the ASP other than orthostatic intolerance also were significantly higher among cases, including secretomotor symptoms, sleep abnormalities, urinary symptoms, and upper gastrointestinal motility problems (P<0.001 for all). Those domains related to cholinergic activity, and accounted for much of the difference between cases and controls (R2≥0.20). In contrast, symptoms relating primarily to the adrenergic system, including vasomotor and pupillomotor symptoms, sexual dysfunction, and reflex syncope, explained less of the difference (R2<0.20), the researchers found. "The pattern of autonomic symptoms and objective test findings points predominantly to dysfunction of both central and peripheral cholinergic functions, possibly from neurotoxic damage to cholinergic neurons or cholinergic receptors," explained Haley and colleagues. This reduction in sweat was less in the ankle and leg and was not present in the arm, "indicating nerve length-related damage to the peripheral autonomic nervous system affecting the distal small cholinergic sudomotor fibers," the authors observed. Additional tests included investigations of circadian changes in parasympathetic tone using 24-hour electrocardiograms, in which the normal nocturnal increase in high-frequency heart rate variability was lacking in cases but not controls. The confusion/ataxia variant group also had lower daytime high-frequency heart rate variability compared with controls, while the daytime variability was higher than controls in the neuropathic pain group. A moderate inverse correlation was seen between nocturnal heart rate variability and scores on objective autonomic tests (r = −0.41, P<0.001), while a weak correlation was seen for daytime variability (r = −0.22, P=0.04). This blunting of the expected nocturnal rise in high-frequency heart rate variability "clearly demonstrated" impairment of the autonomic nervous system, the researchers stated. "These results confirm dysfunction among Gulf War veterans of both central control of parasympathetic function and peripheral cholinergic autonomic nerves, further implicating underlying damage to the cholinergic components of the central and peripheral nervous system," they concluded. In his editorial, Freeman argued in favor of stress as a major underlying factor in these disturbances of autonomic function, pointing to animal models showing alterations in nerve circuitry, catecholamine and serotonergic function, and impairments of the hypothalamic-pituitary-adrenal axis. Similar findings have been seen in human stress-induced hypoglycemia. "Taken together, these preclinical and clinical data demonstrate a wide array of objective structural, physiological, and clinical manifestations of stress," Freeman wrote. 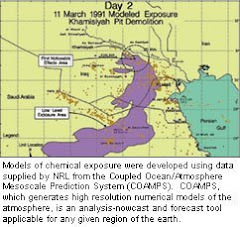 "Proposing a primary, supplementary, or synergistic role for stress in the Gulf War syndrome neither invalidates nor minimizes the associated symptoms, suffering, health outcomes, and public health import of the syndrome," he stated. Increased understanding of the "neurobiology of stress" in current and future research "will maximize the likelihood of effective prevention and treatment of this and related disorders," Freeman wrote. The study was funded by the Department of Veterans Affairs, the U.S. Army Medical Research and Materiel Command, and NIH. The lead author has received an honorarium from Targeted Medical Pharma for reviewing a new drug application for a medication to treat fatigue. Haley R, et al "Cholinergic autonomic dysfunction in veterans with Gulf War illness: confirmation in a population-based sample" Arch Neurol 2012; DOI: 10.1001/jamaneurol.2013.596. Freeman R "Objective evidence of autonomic dysfunction and the role of stress in the Gulf War syndrome" Arch Neurol 2012; DOI: 10.1001/jamaneurol.2013.1494. (91outcomes.com) - After a long wait, detailed meeting minutes of the most recent meeting of the Congressionally chartered Research Advisory Committee on Gulf War Veterans' Illnesses (RAC) have been publicly released. The June 18-19, 2012 meeting of the body, currently housed under the U.S. Department of Veterans Affairs (VA), was highly contentious. For the first time, the meeting minutes show in painful detail how RAC members spent much of their time during the two days of meetings highlighting serious research, management, and oversight failures at VA related to the health of Gulf War veterans. No news media attended the meetings, perhaps helping to explain why there have not yet been national headlines about these serious issues affecting one in three veterans of the 1991 Gulf War, and other U.S. forces. Since the meeting, VA research staff have suggested that some promising new GWI treatment medical research appears likely to be funded by VA this year. However, no information has been made available regarding these discussed initiatives. Also since the meeting, VA staff initiated the process for an unprecedented contract with the Institute of Medicine to create a new "case definition" for Gulf War chronic multisymptom illness -- through a highly controversial "literature review." The RAC's December 2012 meeting, scheduled a year in advance, had to be cancelled due to challenges with new VA travel rules. The RAC's next meeting is now scheduled for February 4-5, 2013 in Washington, DC. All RAC meetings are fully open to the public. A study finds that Gulf War Illness, or the series of symptoms that plagues 1 out of 4 veterans of the 1991 Persian Gulf war, is due to damage to the autonomic nervous system. Autonomic nervous system damage at root of Gulf War illness symptoms, new study shows. At least 250,000 veterans suffer from symptoms of the illness. WASHINGTON — Gulf War illness, the series of symptoms ranging from headaches to memory loss to chronic fatigue that plagues one of four veterans of the 1991 Persian Gulf war, is due to damage to the autonomic nervous system, a study released Monday shows. "This is the linchpin," said the study's lead author, Robert Haley, chief of epidemiology at the University of Texas Southwestern Medical Center in Dallas. "The disease itself is so difficult to express and to understand," Haley said, explaining that veterans described simply that they "don't feel well" or "can't function," without being able to further explain a disease that affects the automatic functions of their bodies, such as heat regulation, sleep or even their heartbeats. "Docs don't know what the disease is, so they can't help," Haley said. "But if you can figure out what the disease is, the other problems will fall in line." Researchers spent 15 years researching a hypothesis, and then "we planned the ultimate study that proved that hypothesis," Haley said. Along with Steven Vernino, chief of the neuromuscular division at Southwestern, Haley sent 97 veterans through 25 tests, including brain imaging, in seven days. The group had been drawn from a sample of 8,000 Gulf War veterans. The study was published Monday in Archives of Neurology. "Veterans have high faith in Dr. Haley's dedicated and informative research," said Paul Sullivan of Veterans for Common Sense and a Gulf War veteran. "This finding is important because for the first time physicians who care for Gulf War veterans now have a medical explanation for many of the unusual symptoms." The team conducted several studies, and then built a theory based on the results of that work. The doctors had funding from Congress until 2010, when they were dropped by the Department of Veterans Affairs after being accused of wasting millions of dollars in research money. That came directly after a 2009 study from Haley showed that neurotoxins such as anti-nerve agent pills, insect repellent and the nerve agent sarin caused neurological changes to the brain, and that the changes seem to correlate with different symptoms. After they lost funding, Haley and the other researchers continued their work on their own time. "This is the most important study of all," Haley said. "The veterans want to know what's wrong with them. Now, for the first time, all the doctors in the country can say, 'Oh, maybe these are autonomic symptoms.' If you're not thinking autonomic, the symptoms can sound kind of flaky." For years Gulf War veterans have been told the symptoms were all in their heads, which Haley and other researchers say isn't true. There is no known treatment for Gulf War illness, Haley said, but a diagnosis can lead to clinical trials and a possible solution. -- Syndrome 1, or cognitive and depression problems. -- Syndrome 2, or confusion ataxia, which is similar to early Alzheimer's disease. -- Syndrome 3, or severe chronic body pain. Haley said studies released in the next several weeks will include theories as to what caused the syndromes. The study should encourage Congress to devote more money for Gulf War illness research, Sullivan said. The disease affects up to 250,000 veterans, according to the Institute of Medicine. "Knowing the medical basis for a disease focuses the search for specific treatments and makes it possible to test them in clinical trials," Sullivan said. "If VA continues to be reluctant to fund research, then Congress should hold hearings that prompt VA to do the right thing for our veterans." Fibromyalgia, a complex multi symptom condition characterized by chronic, widespread pain, is also presumptive condition for the purposes of VA claims for veterans with Persian Gulf service since August 2, 1990. Some researchers have found objective differences between patients suffering from Gulf War Illness, fibromyalgia, and Chronic Fatigue Syndrome (CFS/ME). According to research presented this week at the American College of Rheumatology Annual Meeting in Washington, D.C., pain experienced by people with fibromyalgia may be caused by a problem with the way pain stimuli are processed in the brain. Abnormal pain signal processing may also be related to a lack of responsiveness to opioids, a common class of pain relievers. “Although we have known for some time that the brain is a key player in the pathology of fibromyalgia, we have yet to understand how pain regulation is disrupted in this condition,” says Richard E. Harris, PhD, assistant professor at the University of Michigan, Ann Arbor, Mich., and lead investigator of the study. Previous studies indicate that fibromyalgia patients have increased sensitivity to temperature, touch, and pressure. Moreover, some of Dr. Harris’s previous work demonstrated that people with fibromyalgia produce an increased amount of endogenous opioid peptides (also known as endorphins that naturally relieve pain) that act on the brain’s µ-opioid receptors to “naturally” reduce pain. Other work by this same group showed that the fibromyalgia brain displays an enhanced response to painful stimuli, suggesting a problem with pain processing. This current study sought to determine if these two factors, altered function of µ-opioid receptors and enhanced brain response to pain, actually occur simultaneously within the same group of people with fibromyalgia – and within the same brain regions. To answer this question, researchers from the University of Michigan measured the change in blood flow in the brains of 18 patients with fibromyalgia following a painful stimulus, using functional magnetic resonance imaging. They also measured the µ-opioid receptor binding availability with additional tests. These data were collected before and after acupuncture and sham acupuncture (which is essentially placebo acupuncture) treatment designed to reduce pain. The association between the brain’s response to pain and the binding of µ-opioid receptors was then examined. The study revealed a strong negative association between the brain’s response to pain and the binding availability of µ-opioid receptors: the lower the receptor binding availability the greater the brain’s response to pain. A positive correlation was also observed in a classic pain prevention region, the right dorsolateral prefrontal cortex. Importantly these associations were also related to the pain sensations patients reported. For the first time, this study shows that µ-opioid receptor binding is tightly associated with the brain’s response to pain in fibromyalgia. The data leads researchers to speculate that some individuals with fibromyalgia may have a down-regulation or decrease in opioid receptor activity that may exaggerate pain sensitivity. Moreover, these same individuals are likely to not benefit from opioid medications as they may have fewer functioning receptors. “This data may also explain why some chronic pain states show similarities with paradoxical opioid-induced pain sensitivity,” says Dr. Harris. Sen. Bernie Sanders has for many years been a national champion for the estimated 250,000 veterans of the 1991 Gulf War suffering from Gulf War Illness as the result of their Gulf War service. Sanders and his talented staff have always been first rate in helping Gulf War and other veterans. Since serving in the U.S. Senate, Sanders has taken the lead each year in successfully championing annual funding for the acclaimed, treatment-focused Gulf War Illness Congressionally Directed Medical Research Program (CDMRP). Perhaps also a result of this leadership, VA research is now reportedly also moving towards treatment for those suffering rather than efforts seemingly aimed at disproving Gulf War veterans' claims. Prior to his tenure in the Senate, Sanders was highly influential on Gulf War issues while in the U.S. House of Representatives. Most notably, Sanders' role on the House Committee on Oversight and Government Reform helped hold VA and DoD to task on Gulf War health issues, a never ending task that continues to today. Sanders' recognition by DAV is well deserved, especially for his leading efforts on behalf of ill Gulf War veterans. BURLINGTON — Vermont U.S. Sen. Bernie Sanders (I-VT) has won a Congressional Leadership Award from the Disabled American Veterans (DAV). DAV national commander Larry Polzin said Sanders’ efforts have helped boost funding for post-traumatic stress disorder treatment, research into Gulf War illness and housing for seriously disabled veterans. Sanders is one of two members of Congress to have won the award this year. The other is New York Republican Rep. Ann Marie Buerkle (R-NY). Sanders is a member of the Senate Veterans’ Affairs Committee.